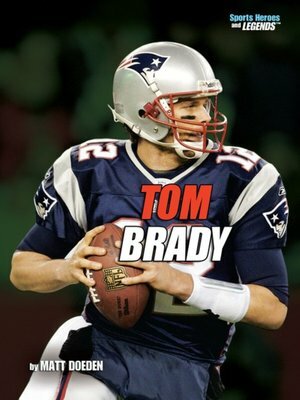 Think you know all there is to know about Tom Brady? Well, did you know that: He was drafted by baseball's Montreal Expos after high school? He was the youngest starting quarterback ever to win the Super Bowl? He and New England Patriots' receiver Randy Moss set an NFL record for the most touchdown passes between a passer and a receiver in a single season? Tom Brady excelled in sports from an early age, playing both baseball and football in high school. His dream of playing professional football led him to join the University of Michigan Wolverines. He spent a lot of time on the sidelines during his first three years there, so he studied the game and prepared himself for bigger things. He eventually joined the New England Patriots as a third-string quarterback. But by early in his second season, he was the starter and became an instant celebrity after leading the team to Super Bowl victory. All of the attention was distracting, but Tom stayed grounded. Tom's life is evidence that with hard work and determination anyone can realize their lifelong dreams. Read all the Sports Heroes and Legends books!